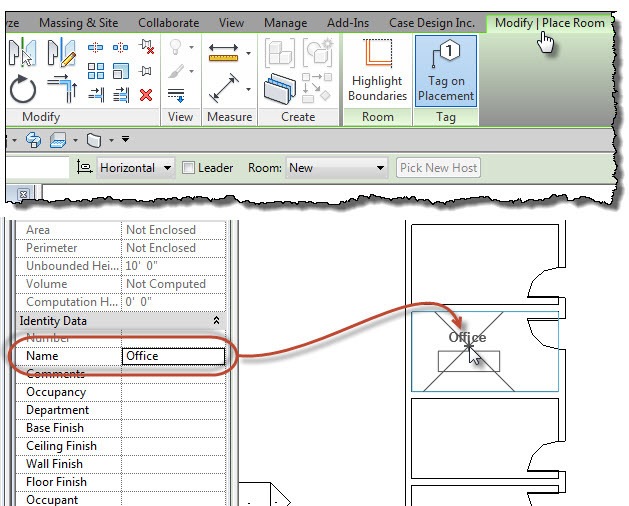 The Properties Palette lets us make some choices before placing elements that in the past were not possible. For example we can decide what elevation mechanical equipment or air terminals should be first. 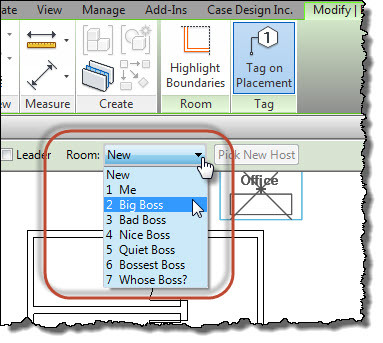 When we place rooms, without bothering to fill out a room schedule in advance, we can decide what name to use before we place one. In the image I've changed the room name to Office. If we need to place several rooms that use the same name all we have to do now is type it into the room's name parameter within the Properties Palette. If you don't like the name you see when you place a room later, just check the Properties Palette. 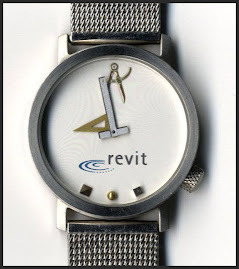 Revit remembers the last value you put there. 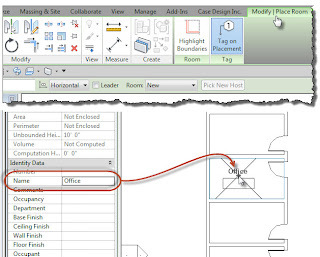 Remember that you can easily place rooms that are defined in a schedule but not yet placed in the model, just check the list!